Came to Clarke's with a low oil emergency today and they got me in IMMEDIATELY! Very honest and professional, with excellent customer service. If I lived in the area this would surely be my go to place!! Thanks, Bob!! Diligent in their analysis of the problem. Efficient in the repair process. Thorough in the testing of the fix to validate the repair. A pleasure to deal with. I felt informed every step of the repair process. Pleasant, informative, pays attention to details, and strong communication skills. The repair work was timely, thorough, and accurate. I will not hesitate to use or recommend Clarke Automotive in the future. Whether you need basic maintenance or a new engine, we will provide you with the right service at the right price. Have trust in our technicians years of experience to answer any questions you may have about your vehicle. Welcome to Clarke Automotive Systems, your leading pick for expert auto repair near and around Fishhawk & Riverview. 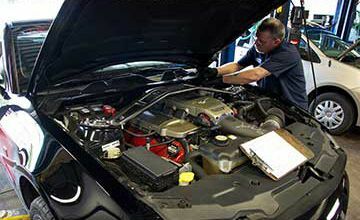 Our ASE-Certified auto mechanics are incredibly talented and truly love performing auto repair services. Our team is frequently able to repair problems that other auto repair shops might not catch. We have earned many long-term customers since we opened our business in 1978. Visit us, and see why clients trust us to be their preferred auto repair shop for life. 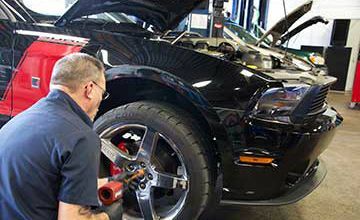 •Our ASE-Certified auto mechanics are always receiving the most current training and utilize the most advanced tools, equipment, and technology. •We’re a family-run business, and our customers feel like part of our extended family. •We offer free shuttle services within the vicinity of Fishhawk and Riverview. •We are truly committed to our community and provide auto repair workshops for women and children. We also teach and donate equipment to Brandon High School. •2-year/24,000-mile nationwide warranty backs parts and labor. “I have been taking our 3 cars to Bob Clarke for service for about 10 years. Bob and his son Matt are the most honest people I know in this business and I trust both of them to do the work that needs to be done correctly, honestly and at a fair price. They both have a vast knowledge of cars and can always give me a detailed explanation of what needs to be done and why and whether anything can wait or just does not need to be done. They always contact me for an estimate and an OK to do the work before doing it. I have every confidence in both of them and always recommend them to others.” -- Stephen F.
If you are searching for expert auto repair for your vehicle, Clarke Automotive Systems is easily your leading choice. Our commitment to taking care of you and your family is unrivaled in the Fishhawk & Riverview communities. You have enough going on your life, so allow our team of ASE-Certified auto mechanics to take some of that pressure off your back. For auto repair, schedule an appointment online. 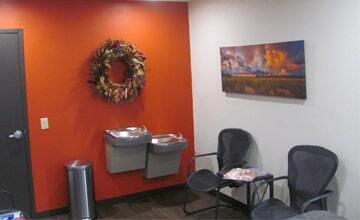 We are conveniently located at 131 Central Dr, Brandon, FL 33510. Here at Clark Automotive Systems we are proud that our commitment to quality service has earned us consistent high marks in customer satisfaction. We have been servicing Brandon's Automotive Service and Repair needs for over 30 years on domestic and Asian vehicles. Everything we do keeps your car under warranty. We service Riverview, Ruskin, Sun City Center, Tampa, Plant City, Seffner and surrounding FL areas.